Architect : Zeidler Partnership and E.I. Richmond Architects. This is a great opportunity for future residents and investors to own a spectacular lake view corner unit! This 1 Bed + Den condo is assigned at a reasonably fair price of $539,900! 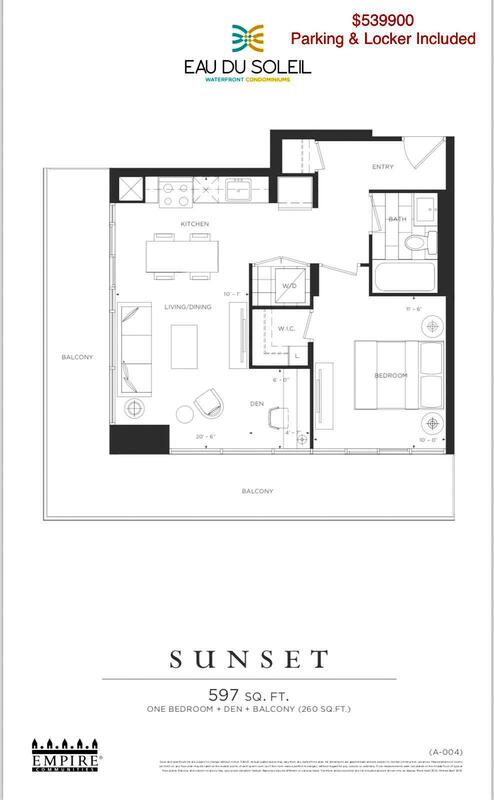 The unit is 597 sq.ft facing southwest! The corner unit shows an unparalleled lake-view in which you can see the lake and park in your bedroom, living room, and almost everywhere within your unit! It also includes 1 parking and 1 locker! 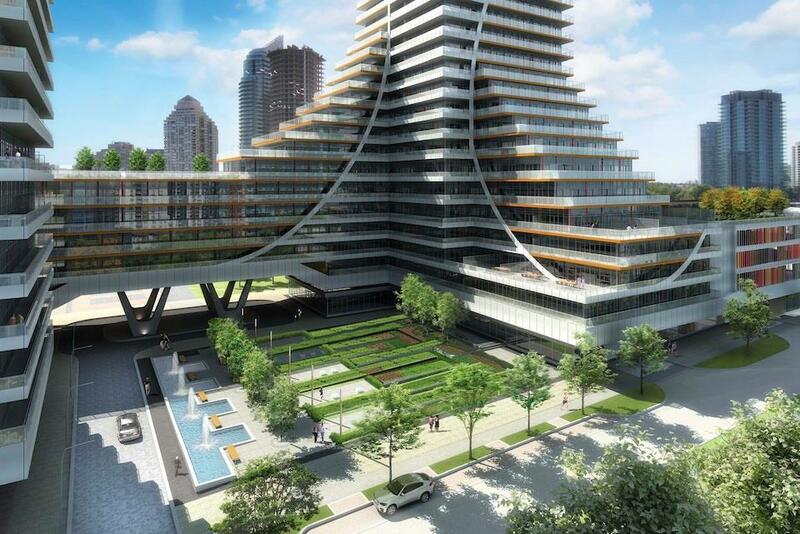 Eau Du Soleil Condos is a landmark condominium that is coming to Toronto's waterfront at Marine Parade Dr. 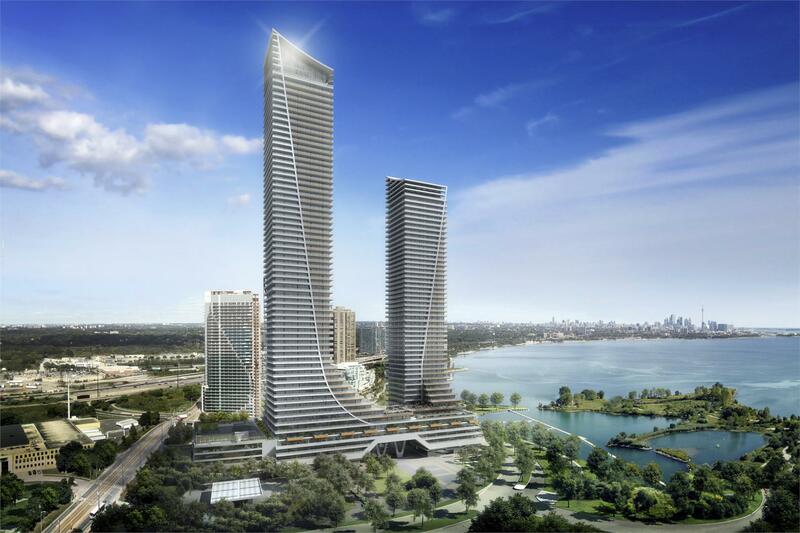 The project, developed by Empire Communities, is destined to become the tallest and most noticeable structure in the iconic waterfront community. Eau Du Soleil Condos will soar above the community, adding an element of grandeur and solidity to the beautiful area. Designed by Zeidler Partnership Architects and E.I. Richmond Architects, the building will feature spacious terraces that overlook remarkable views of the city and the lake. On the outside, the building is enhanced by beautiful landscaping with lush vegetation and walkways; whole on the inside, residents of Eau Du Soleil Condos will be welcomed into a stunning lobby with 24-hour concierge services. The building will feature a brilliant selection of amenities to satisfy residents; leisure, fitness, and social desires.